Is It a Good Time to Buy a Property in India for an NRI? 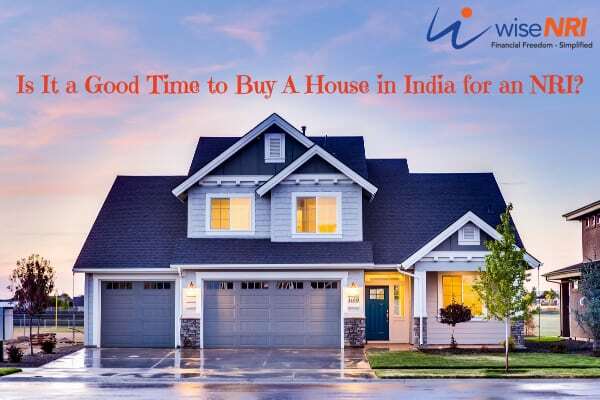 >> Is It a Good Time to Buy a Property in India for an NRI? If I would have asked this 5-6 years back, everyone unanimously said: “Dumbo, anytime is good to invest in Real Estate”. But things have changed in the last few years – people have realized that real estate is also one of the asset classes & accepted that prices can also go down. The real estate industry went through many changes in the last couple of years. Demonetization in 2016 led to fall in sales. In 2017, RERA and GST were implemented which also led to some destabilization in supply and demand of real estate. This led to a fall in prices or stagnation in prices which is good for buyers but the market was not stable so people avoided investing in real estate. Developers as of now are trying to complete their projects. Not too many new projects are being launched as there is a supply form investors. Home loan interest rates in most banks have decreased in the last few years as the bank lending rate has been reduced. Developers have realized that many NRIs prefer living in properties similar to the ones they have been living in while they were abroad with designer layouts and world-class amenities. They have therefore started creating such products in India. These factors make it conducive to look for a good deal in the real estate sector. As an NRI, you might be worried to invest a big sum in a relatively less liquid asset. Moreover, there are concerns about problems like illegal possession, lack of clarity on rights and property details. There are many cases of people taking over property that is lying vacant or even by people whom you have entrusted the property to take care of. In some cases, the builder does not have appropriate permissions or does not finish the project on time or as per quality standards. Some NRIs feel scared to invest in real estate as they are not confident about their rights and the applicable laws. They feel they cannot handle the property matters sitting far away in another country. These concerns are genuine but if you take all the precautions and gain some knowledge about the real estate market and your rights and duties, that will be good for you in long term. Moreover, the government is taking steps to streamline the real estate market. Invest in properties of reputed builders or brands. Ensure you give (limited) power of attorney to a trusted person to handle your end of the deal when you are not physically present to handle the deal. Understand the market, the project and ask enough questions regarding time, cost, the quality so that you have a fair idea about it. 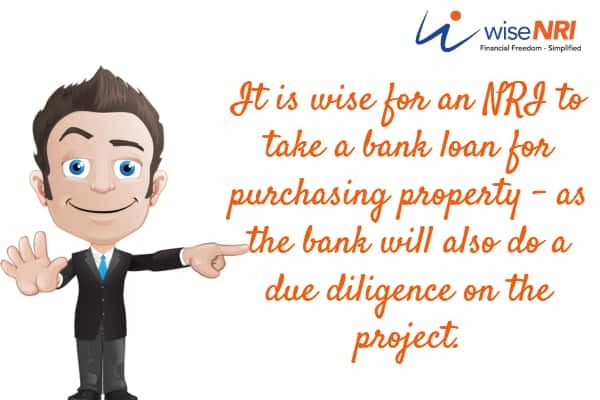 It might be better to take a bank loan as the bank will also do a due diligence on the project. Why should NRI invest in real estate in India? The new rules as per RERA aim to regulate the real estate industry which is good for your real estate investment. The investment process is more streamlined as there are more checks in place. The rupee has been depreciating in the last one year against the dollar. In May 2017, the exchange rate was around 64 for USD 1. In Aug 2018, the exchange rate is touching Rs. 70 for USD 1. If you earn in dollars, you will have more rupees in your hands which means higher purchasing power. You can utilize your earnings to buy your dream house rather than leave the money lying idle and losing value. Getting a home loan is not difficult if you have a steady income, have all your documentation like tax returns and bank statements in place and the real estate project is reputed. The interest rates on home loans have reduced in the last few years which means lower EMIs and the lesser difference between rental yield and cost of investment. NRIs can take advantage of this factor. Getting a home loan is a smooth process if you avail the services of a reputed bank and have all the documentation in place. You can avail of tax deductions too. If your house is self-occupied or occupied by your family members or vacant, you get a deduction of Rs. 2,00,000 on interest paid on housing loan. In case it is rented, all the interest you pay in that financial year is deductible from the taxable income. The principal component of the EMI is eligible for deduction under Section 80C up to Rs. 1,50,000 per year. Stamp duty and registration charges paid on the purchase of a property can also be claimed under Section 80C. What should I keep a watch for so that I can protect my investment? You should check for these factors – the credibility of a developer, right size and right location of the property, right time to invest i.e. when prices are not an all-time high and loans are available at optimum rates. The property prices will not shoot up like earlier. It will take time for value appreciation as real estate cycles are much longer – so it may take many years before bottom out. You have to pay tax on rental yield that you earn on your property in India. Tax is on the net annual rent which is the total rent less the municipal taxes. If the total income for the financial year is less than Rs. 2,50,000, then you need not pay tax or file income tax returns in India. Be aware of the real estate market trend and the applicable rules and regulations. Be aware of changes in tax laws and how they are applicable to you. If you do not have the time or inclination to do so, you could hire a property consultant who can advise you on the best course of action regarding investment in real estate and management of the property. I don’t know if it is a good time to invest in the property in India. Asset allocation is a must – real estate, gold, equity, and debt. People with very high exposure to a single asset class should understand that if that asset class will not perform for a few years – that will have a huge negative impact on their financial life. 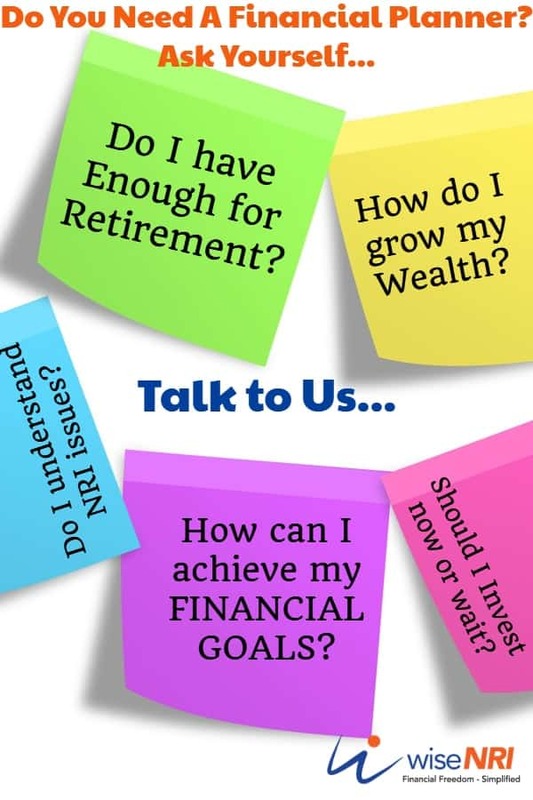 As an NRI, your decision will depend on your need, rate of return, long-term plan and currency fluctuations. For example, if you are not going to return to India and may not have dependents living in your house in India, you might be better off buying a house in the country of residence. (more on this later) Consider these factors before you make the investment decision. 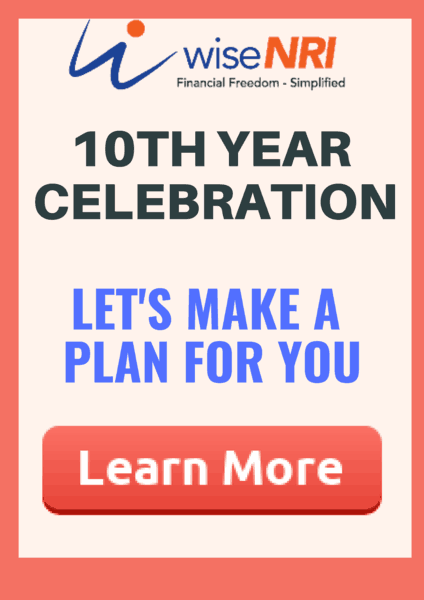 Are you planning your first house or an investment property in near future? what all things that you are considering? Please share in the comment section. Good article Hemant. Real estate in India might be a better investment as compared to investing in stocks in the country of residence or investing in time deposits. Investments in stocks is a risky proposition and interest rates in most countries are not attractive. Thanks for sharing your views but I may not agree. You have bit old info – now the property investment is considered long term after 2 years & 54 EC bond to save tax that you are talking about is for 5 years.